Sweet, beautiful and unique. You may notice Rosie looks a little different. That’s because Rosie was the victim of a dog attack that left her with only one partial ear on the right, no ear on the left and deep scars on her shoulders. 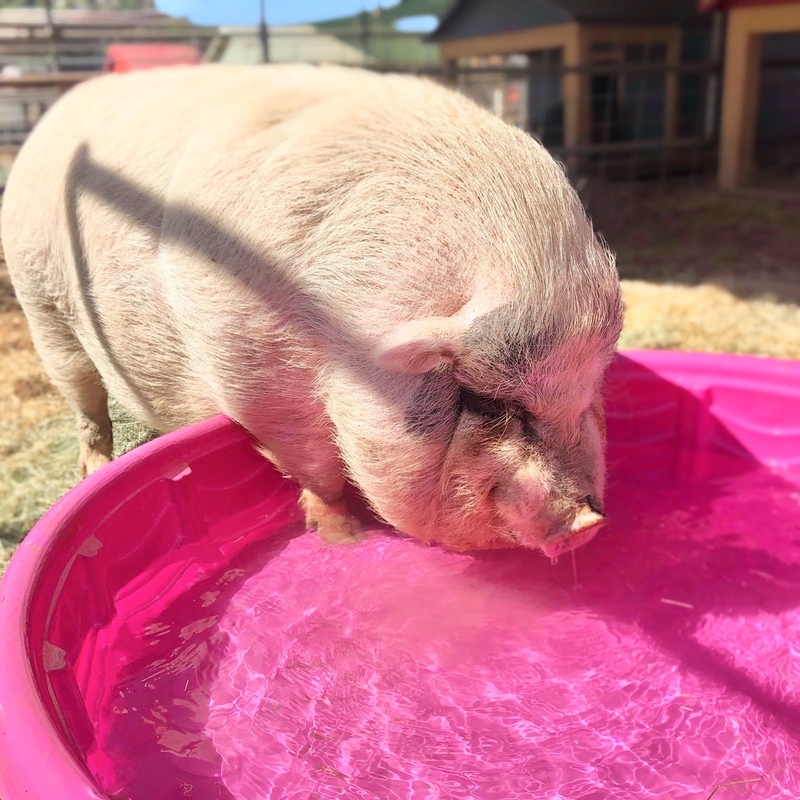 Rosie has a big personality and a voice to match when it’s time to eat . She loves belly rubs, scratches and treats. She doesn’t care much for dogs but who could blame her. Rosie is not spayed and at her size and age it would be a risky operation. 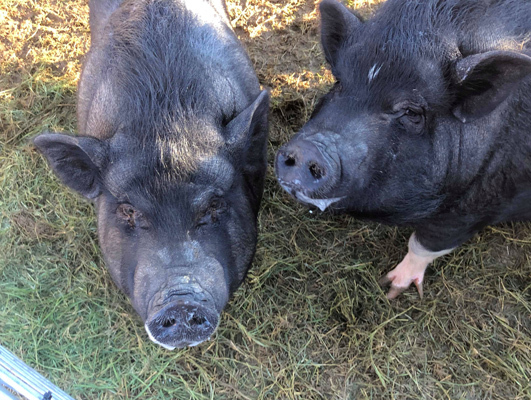 Thelma and Louise were rescued from a hoarding/neglect case in December of 2018. They are approximately 18-24 months old and are currently unsprayed. They are a little shy, though they love head scratches. We are working on their manners and given their history, who can blame them for being a little nervous. They will be spayed prior to adoption or may be adopted with a spay contract. We would prefer they be adopted together as it is likely that is how they have spend their whole lives. Adoption fee: $150 each or $250 for both. Adoption fee will be waived if they are adopted on a spay contract.